Happy Monday Everyone! Today I’m thrilled to have debut author Sarah Ahiers here to share about her new YA fantasy ASSASSIN’S HEART. It sounds like a really unique fantasy set in a complicated world. Hi Sarah! Thanks so much for joining us. 2. Awesome how you've been writing for so long. Where did you get the idea for your story? I wanted to explore a society where murder was not only allowed for a certain sect of people, but also welcomed. And I wanted to write a story where a character’s grief follows her for the entire book and doesn’t just go away when she meets a new boy. 3. In ASSASSIN’S HEART, you’ve got nine families of assassins. What did you do to make them all unique and what was your world building process like in general? Four of the Families feature fairly prominently in the book, so they were pretty easy to develop when I considered how they would help or hinder Lea in her journey and why they would do that. The other Families I just mostly brainstormed about, trying to think where they would live, how they would be different from the other Families, how their ranks and their relationships would contribute to their identities. And world building in general I tend to pants, which is strange because I’m not a pantser in general. But I tend to let the world come to me organically while I’m writing the draft, to see what my subconscious comes up with. Then I go back and do some heavier brainstorming and research. 4. That must have really helped to have four families kind of set in your mind. Lea is filled with a desire for revenge. That’s not always a characteristic that would make her a sympathetic character. How did you balance this important driving emotion with other feelings and characteristics to make Lea a sympathetic person we could get behind? Not only is she driven by vengeance, but she’s also a murderer, so I knew I had a bit of an uphill battle. But I knew as long as the reader rooted for her and wanted to see her succeed, they would overlook her mistakes or some of her more negative traits. One big thing I did which I think helped the most in capturing reader sympathy was taking my time before bad things happen. I give the reader a chapter or two to get to know Lea, her family, her life before she loses all these things. So by then, the reader is invested in those aspects of Lea’s life, so when they’re taken away, the reader is on Lea’s side in her desire for vengeance. 5. That sounds like a good strategy to introduce us to Lea's life so we understand why she changes to who she is in the story. What was working with your editor like and what’s something that surprised about the process? which is great. I definitely love face to face meetings to get to know people. My editor is a fan of looong edit letters, which I was worried about at first, but the edit letter ended up not really being scary at all, and there were very few things I didn’t agree with. And the ones that I did, she had justifiable reasons for the change which I couldn’t disagree with, or we had phone calls to discuss and brainstorm and come to a consensus about how to meet in the middle. So I would say I was pleasantly surprised by how well I took to my edits. 6. That's really cool that you got to meet her. Your agent is Mollie Glick. How did she become your agent and what was your road to publication like? Oh, my agent story was a bit of a crazy one. I started to query Assassin’s Heart in November of 2013. I was going to query for a month, then stop and pick back up in mid-January. But after the holidays I got an offer of rep. Then 6 more. And while having a lot of offers is exciting, it’s also very stressful, especially when all of the agents are excellent in their own right and you would sign with any of them. But Mollie was great on our phone call (all the agents were, really) and her sales were great. And a few of the other agents who also offered, mentioned how amazing Mollie was and that was enough of a sign for me, anyway. So I signed with Mollie, we did a quick small revision in over two weeks, then went on sub. And Assassin’s Heart sold in a pre-empt two weeks after that. So it was a whirlwind of craziness. 7. Wow! That's great you got some many offers, even if it was stressful. You’re working on your MFA in Writing for Children and Young Adults. How has that helped you in writing or editing your book? I actually just graduated a few weeks ago! And the MFA was the best decision I’ve ever made. The biggest thing it’s done for me is help me find a community and mentors that are truly invested in me and my writing. I actually workshopped a bit of Assassin’s Heart at my first MFA residency, the day before I got my first offer. Everyone was so supportive. 8. Congrats on graduating! How are you planning to market your book? Are you networking and working with other debut authors? Well, a couple of things. Waiting for edits for my second book with HarperTeen. I also have a MG fantasy that was my MFA Creative Thesis I’m about halfway through (about a boy whose family is turned into crows and he must find a witch to change them back) as well as another YA fantasy I worked on during my MFA. I’m excited to finish or revise all of these. 2016 is going to be an exciting year for me, with a lot of great work. Sarah has generously offered a copy of ASSASSIN'S HEART for a giveaway. To enter, all you need to do is be a follower (just click the follow button if you’re not a follower) and leave a comment through February 13th. If your e-mail is not on your Google Profile, you must leave it in the comments to enter either contest. 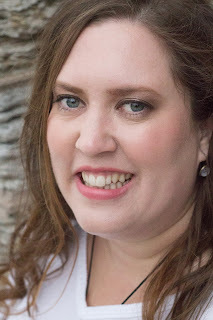 On Wednesday I have my new and first agent spotlight interview with agent Beth Campbell and a query critique giveaway. On Friday I'm participating in the Favorites Book Giveaway Hop. Next Monday I have a guest post by debut YA author Heidi Heilig and a giveaway of her YA fantasy time travel THE GIRL FROM EVERYWHERE. Wow. What a premise. Love the cover too. I so want to win Assassin's Heart! Nice to meet you, Sarah! Natalie, appreciate the interview and introduction. Sounds like quite an interesting read. I'll pass on the giveaway this time around. Enjoy the week! Congrats on your novels and finishing your MFA, Sarah! What a whirlwind! Congrats to Sarah! And thank you for sharing with us your story. The book sounds awesome. I've heard a bunch about this book, and it's definitely on my TBR. That's so exciting that it had such a smooth road to publication. Very interesting premise! Congratulations, Sarah! It's so awesome she managed to hit it off with her agent and received so many offers! Intriguing premise, with hints of The Godfather and Romeo and Juliet. Then to incorporate seven assassin families, and make them each unique from each other, such fun. Have a great week and congratulations to Sarah. Fantastic interview! I remember when Sarah was honing her query on Matt McNish's blog, and it's pretty cool to hear about the whirlwind journey through representation and book deal! Great interview! Congrats, Sarah. Looking forward to reading it all. Sounds chilling, indeed. Huge congratulations to Sarah and the best of luck. Sounds like an amazing story starring an assassin. Congrats on all your success. All you have to do is make her just likeable enough for the readers. Congratulations, Sarah. Tomorrow is your big day! I keep hearing about this book and it has me all sorts of excited! Thanks for the giveaway! Cool idea of a society that allows assassins from certain people and having families specializing in it. I could have a lot of fun with that idea. Good luck Sarah with ASSASSIN’S HEART! This looks like a wonderful story and I enjoyed reading about Sarah's publishing journey. You have great posts up ahead on your blog with these debut authors. Congrats Sarah! Loved this interview. Such a great premise and a STUNNING cover! I'm excited about this book! Looks great. Exciting and intriguing. Thanks for the giveaway! Awesome concept! and I love her crows concept as well! Seven offers after just one month of querying is a good sign - means your story was really, really good. Good luck with your first book, Sarah. Wow that sounds like a really interesting book. And it must be good if you got so many offers of rep. Congrats! What a fascinating concept for your book! Congratulations! I can't wait to read it. Great premise for a book. And, as always, fascinating interview. Thanks for the post. Please don't put my name in the drawing. I'm still packing and don't need anything else to pack. I really love the cover! Congrats, Sarah! I enjoyed the interview, particularly your answer on how to balance Lea's negative traits to make her more sympathetic to the reader. I've heard a lot about this book and I can't wait to get my hands on it, soon hopefully! Great interview - excited to check this one out! I remember Sarah from what I was on the Query Tracker forums! It was so exciting when she got to announce this book to us - and now here it comes! I can't wait to read it!! Great interview!